Emergency Preparedness and Response Manager John Beland will discuss the Lakes Region Community Emergency Response Team Program (LR-CERT), created in 2007. 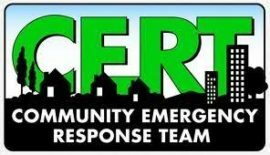 Join us Monday, April 8 at 2 p.m. in Taylor Community’s Woodside Building for information about LR-CERT, which educates people about disaster preparedness and trains them in basic disaster response skills, such as fire safety, light search and rescue and disaster medical operations. This free event is open to the public.